Movement Electronic Music Festival’s 11th year kicked off to a start on a beautifully sunny day this past Memorial Day Weekend. Ahead of the festival, Detroit Mayor Mike Duggen had officially declared the week of May 22nd-29th as ‘Detroit Techno Week’. This is the one exciting time of the year that people from all around the world come to celebrate and take part in Detroit’s culture as the birthplace of techno music. Diplo and Mad Decent crew have come a loonggg way since they first set up shop at what is now PHILAMOCA in the early 2000s. 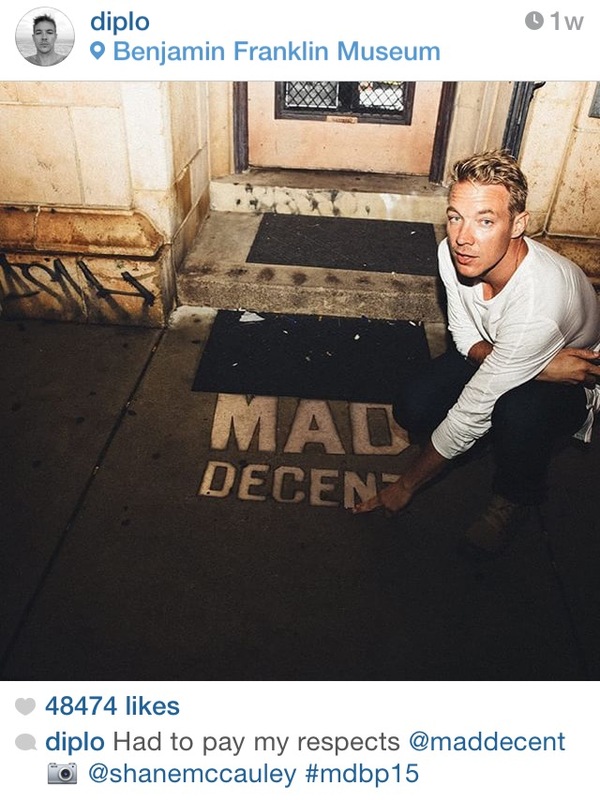 A trip down memory lane for Diplo, where the sidewalk outside PHILAMOCA still bears the Mad Decent stamp. 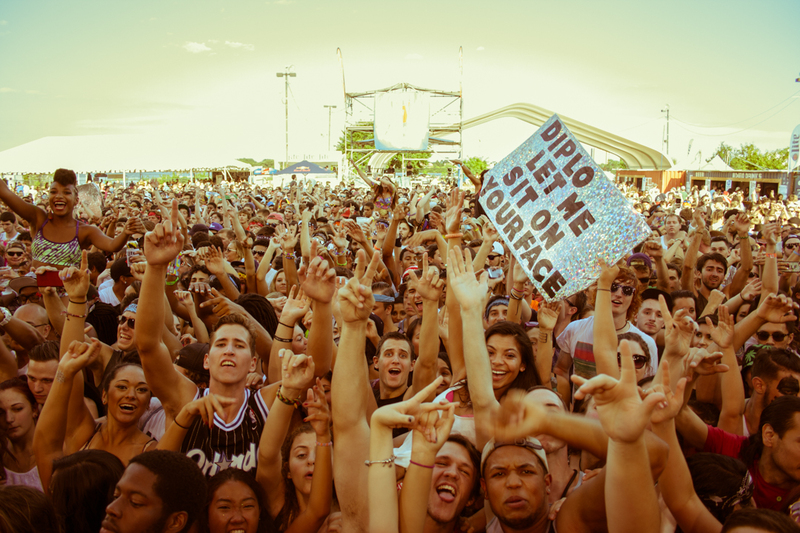 The Mad Decent Block party, which originally was a raucous street party that closed down the five-point intersection at 12th Street, Spring Garden, and Ridge Avenue, has exploded into a nationally touring summer sell-out. 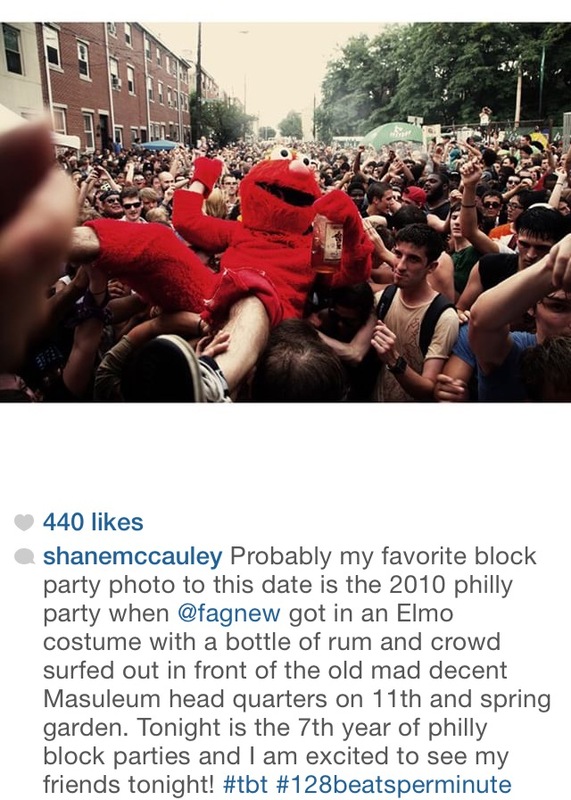 Big up to Sean Agnew (pictured here in Elmo costume with a handle of Captain Morgan, also a former WKDU DJ) and R5 Productions for their biggest show to date, and for handling the event like the champs they are. 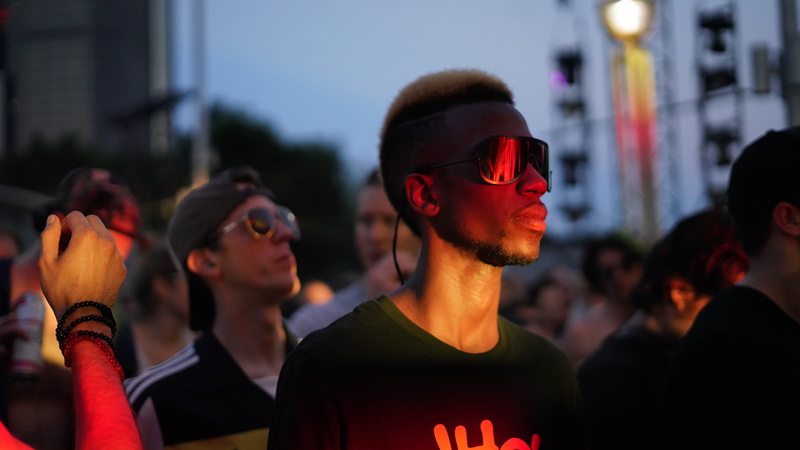 We took in the sights and sounds of the Friday madness, catching sets from Major Lazer, Philly’s own Dirty South Joe, Zeds Dead, Keys N Krates, Allison Wonderland, and Giraffage. You’ve got to assume that Diplo is used to this at this point. All photos by Frank Kinyon.